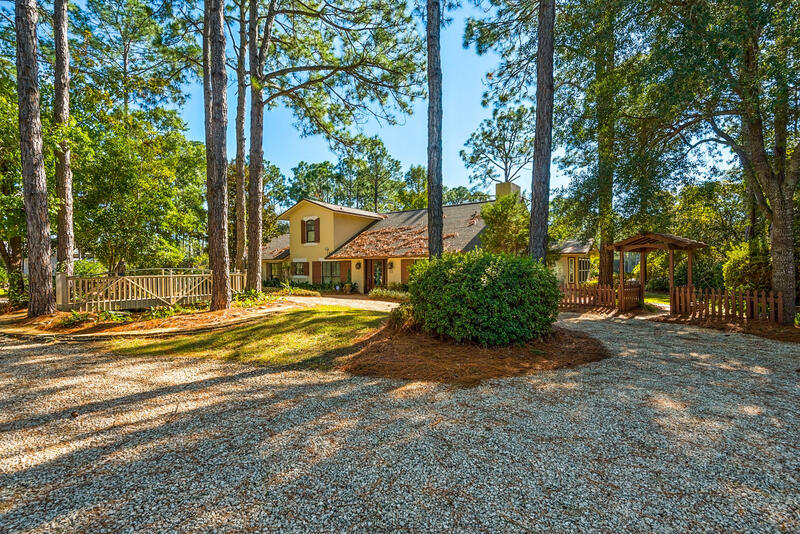 Beautiful residence located on an acre lot with gorgeous views of Fox Lake. Live large in this 4 bedroom home with two master suites! Newly painted, this home has an ideal floor plan offering everything you need on the main/ground floor. Vaulted entry and sunken living area with soaring wood ceilings; wood & travertine flooring. Beautiful kitchen with cherry cabinetry & stainless appliances situated on the south side of the property overlooking gorgeous Fox Lake. Dining area and breakfast bar open out to the back patio where an outdoor kitchen awaits year-round grilling. Paver walkways surround the residence along which lush citrus and banana trees enhance the walk around the property to the backyard.